One of my new year’s resolutions (for the blog) is to create shorter blog posts, or at least die trying… I know a lot of you don’t mind my ‘sometimes lengthy blog posts’ but I also know some of you give a big *gulp* when you open up one of my ‘word intensive blog posts’. If you were looking forward to a short & zippy blog post today…erm…then you’re not going to be very happy with me – it’s going to be a hefty one. *waves white flag* But only because I want to give you as much detail about the Clarisonic devices as possible – an informed decision, is the best decision. I just made that up….quite wise for such a spring chicken, right? Anyway, this blog post has been a long time coming – and I’m not even referring to the last 3+ months after attending the Clarisonic South Africa press launch earlier in September 2014. 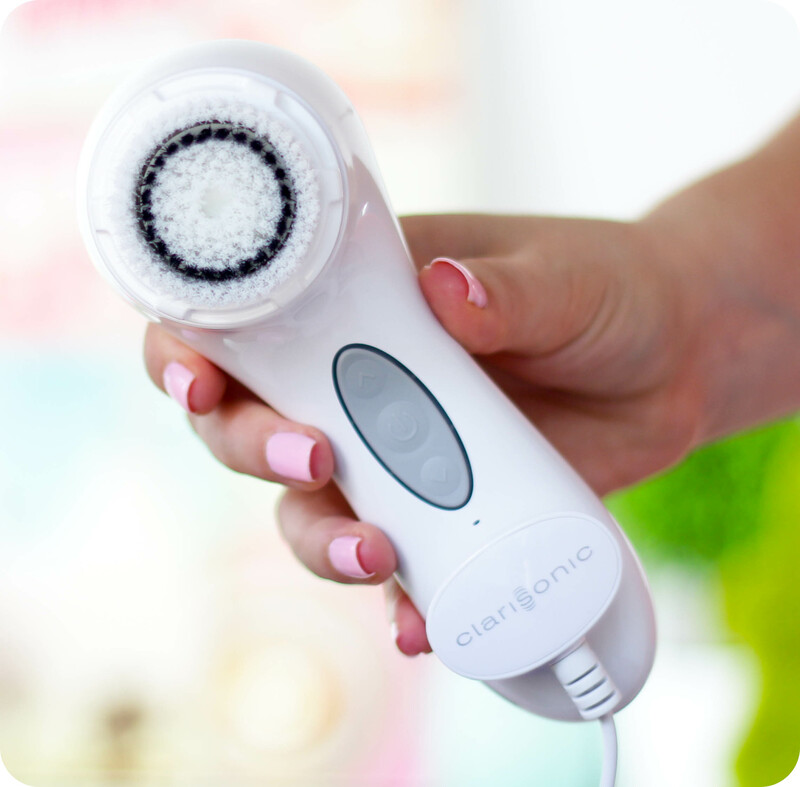 Nope, I’ve been dying to blog about the Clarisonic skin care devices for the last 3+ YEARS! But I didn’t think it would be fair to rave about a product like this one, only to tell you guys it wasn’t available in South Africa. I bought my Clarisonic Mia about 4 years ago after reading many, many rave reviews – in case you don’t know, the Clarisonic skin care devices are a cult favourite amongst the beauty-obsessed overseas and have won numerous beauty awards. I have very, VERY good news for you, though, I’m extremely excited to tell you that Clarisonic skin care devices will be making their way to Stuttafords stores at the beginning of February 2015. Clarisonic was initially supposed to launch here in January 2015 but I’ve been told there have been issues with freight delays. What does Clarisonic say about their skin care devices? It’s time to think beyond the washcloth and elevate cleansing to a sonic level. Clarisonic’s patented sonic technology gently removes the impurities traditional cleaning methods leave behind, cleansing 6 times better than your hands alone. In just 60 seconds, its sonic action removes impurities from pores so that creams, serums, and moisturisers are more effective. And with regular daily use you’ll notice a reduction in dry patches, oily areas, and blemishes. Why is sonic skin cleansing better than your regular ol’ hands, wash cloth or facial sponge? The Clarisonic devices work with the skin’s natural elasticity, moving back & forth at more than 300 movements per second to gently wriggle (or massage) away impurities trapped within your pores. The main reason why I think skin care tools like the Clarisonic are so important in a skin care routine, is because they clean out the pores and gently exfoliate the surface of the skin (removing dead skin cells) – which means all those serums, lotions and creams are able to penetrate deeper (helping them to perform better). These sonic skin care devices remove impurities and exfoliate more effectively and more efficiently than your hands, or facial sponge ever could (and I’m going to prove it at the end of the blog post!). How does the charger work? The charger magnetically attaches to the base of the handle – I personally love this as I never have to worry about dirt / dust getting into an opening on the device & wreaking havoc later down the line. No openings also mean all Clarisonic devices are 100% waterproof, trust me, I have tested it numerous times by dropping my Mia and Aria (both accidentally and on purpose) in the bath tub. All Clarisonic brush heads are dermatologist tested, thus they are suitable (and gentle enough) for all skin types – use the ‘sensitive’ brush head if you have sensitive skin (it’s my preferred brush head). The Clarisonic brush head is made of non-porous material that does not harbour bacteria. All devices also feature a ‘T-Timer’ that pulses or beeps momentarily (depends on the model) to indicate it is time to move to another part of your face – 20 seconds on your forehead, 20 seconds on your nose / chin & 10 seconds on each cheek. ♥ Compact, travel-friendly, entry level device. ♥ Features 2 speeds – ‘Low’ and ‘Normal’. ♥ Average battery life of 24 uses (then you’ll need to charge the device again). ♥ Mia 2 kit includes: Mia 2 device, ‘Sensitive’ brush head, universal voltage pLink charger (SA 2-point plug), plastic travel case, sample size Clarisonic cleanser (30ml). ♥ Price: R 2499,00 (will be available in Pink). ♥ Features 3 speeds – ‘Delicate’ (for fragile skin, delicate enough for sensitive skin conditions), ‘Universal’ (for all skin types, developed for normal daily use) and ‘Powerful’ (when an extra boost is needed to loosen and remove set-in debris). ♥ USB-enabled p-Link charger that makes powering up simple – at home (use the included 2-point plug wall adapter) or on the go (you can use your laptop or a portable power station to charge it up via USB). ♥ Average battery life of +- 28 uses. ♥ Dual-functioning drying stand & charging station. ♥ Equipped with a T-Timer that can be adjusted to 1 or 2 minutes (perfect for those nights when you need an extra deep clean & don’t want to keep pushing the button). ♥ Colour coded battery life indicator (you will never be ‘stranded’ without your Aria because you didn’t realize it needed charging). ♥ Aria kit includes: Aria device, ‘Sensitive’ brush head, USB-enabled universal voltage pLink charger, drying stand (you can also use it as a charging cradle), wall adapter (SA 2-point plug), sample size Clarisonic cleanser (30ml). ♥ Price: R 2999,00 (will be available in White). ♥ Features 3 speeds (just like the Aria) and 2 modes – ‘Face’ & ‘Body’. ♥ The handle switches to ‘Body’ mode when it detects that the body brush head is attached. The body brush head is perfect for prepping the skin for sunless tanner application. ♥ Equipped with a T-Timer that can be adjusted to 1 or 2 minutes. ♥ The body brush head is about a centimeter larger in diameter than the facial brush heads. Also, unlike the facial brush heads, all the bristles on the body brush head oscillate. ♥ PLUS kit includes: PLUS device, ‘Sensitive’ brush head, ‘Body’ brush head, universal voltage pLink charging cradle, sample size Clarisonic cleanser (30ml), sample size Clarisonic body cleanser (60ml). ♥ Price: R 3499,00 (will be available in White). To be quite honest, I’ve changed the way I think about facial cleansers. I used to be under the impression that one absolutely has to buy the most expensive cleanser that you can afford, because I hefty price tag means incredible quality…right? Wrong! 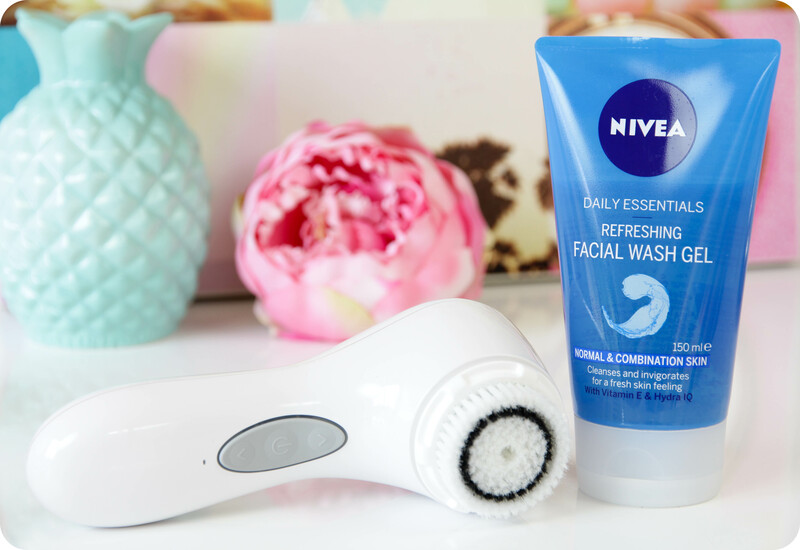 I’ve been using my NIVEA Daily Essentials cleansers (you can read the one here & I’m about to mention the other one below) for months now & I’m very happy with them. I’ve used numerous cleansers produced by luxury brands in the past, and to be honest, the cleanser is going down the drain in a matter of minutes anyway…so why spend all that money on something that doesn’t ‘sit’ on the skin? I’d rather spend my hard-earned money on a serum, day cream or eye cream because I know it’s going to actually penetrate the skin. For the rest of my review – whenever I mention the Aria, I automatically also include the Mia because even though I’m using my Aria at the moment, I’ve been using my Mia for the past 3+ years and I have been VERY happy with it. I’m thinking about selling my Mia, but still thinking it over in my head, because I would have to sell it without a brush head. I always double cleanse, if you have been reading my blog for a while, then you know I always start my cleansing routine off with a cleansing balm, cleansing oil or even just my normal facial cleanser (it just ensures you remove all the eye makeup and mascara since we shouldn’t really use sponges or facial brushes on our delicate eye areas). If I’m using my normal cleansing gel, I will just cleanse my skin twice using the same product. 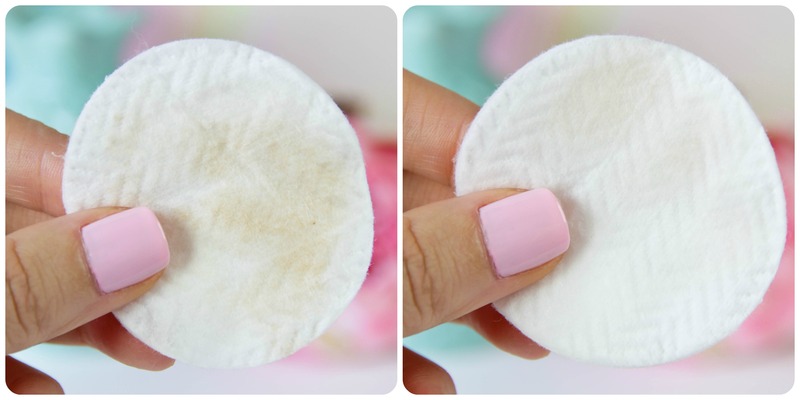 Remove most of your makeup first using your product of choice (makeup remover wipe, cleansing balm, etc) – trust me, you do not want to take the Clarisonic to a face full of makeup (foaming foundation + brown brush head = not pretty). I’m not saying that Clarisonic is unable to dissolve a full face of makeup (it can totally stand its ground) but you want your brush head to last as long as possible (especially if you are going to spend all that cash on a Clarisonic). I use my Aria at night because I want to make sure I really get rid of all the makeup & dirt from the day. I always dampen the brush head (this will make the bristles a bit more pliable) before applying a small dollop of my cleanser directly onto the brush head, I then like to run my index finger along the bristles to create a foam. I will then start running the brush in circular motions along the surface of my skin, starting on the forehead (my problem area), then moving onto my nose and chin & then ending off with my cheeks. I use the ‘Fragile’ setting when my skin is feeling a bit sensitive, and switch to the ‘Universal’ setting when my skin feels normal – I love that you have the option to switch between speeds based on how your skin is feeling on that particular day. I’ve never used the ‘Powerful’ setting because I feel my skin doesn’t need it, the previous 2 settings cleanse & exfoliate my skin just fine. 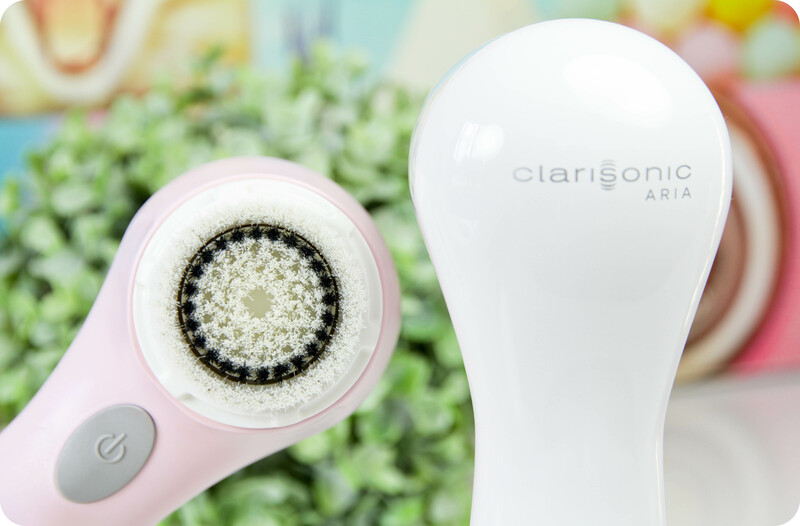 The key to using a Clarisonic is to gently run the brush head along the surface of the skin, let it do the work for you. Don’t apply excessive pressure, the brush should never feel scratchy while you’re cleansing. The facial brush heads have stationary bristles around the edge, these act like a splash guard (so you don’t have cleanser flying everywhere). The eye area is too delicate for the Clarisonic, thus stay away from the eye lids (I’ve tried removing my eye makeup using the Clarisonic & it’s not very pleasant). Some people go through a type of ‘purging phase’ when they first start using the Clarisonic, and experience mild breakouts. This is very normal as impurities are brought to the surface of the skin, just keep using your Clarisonic & you should see a difference in a week or two. I didn’t really experience a breakout when I first started using my Mia BUT I didn’t start off using it every single day. I eased my skin into it, and at first only used it once every 4 days. I now use my Clarisonic every day (once a day) and if I start to feel like my skin is getting a bit sensitive, I will only use it once every 2 or 3 days. The result? My skin has never felt this clean & clear ever before. I have struggled with breakouts (even in my twenties), acne (I was on Roaccutane for a while), congested skin and oiliness and I really feel the Clarisonic has improved the look and feel of my skin. I don’t suffer from those painful ‘under the skin’ blemishes anymore, my skin has changed from being VERY oily to being slightly oily on my T-zone only, and my skin feels smoother and looks brighter. I still suffer from congestion on my forehead area every now & again when I’m really stressed, or there’s a hormone fluctuation, or when I test out a new skin care product but I’ve accepted that it’s part of being a beauty blogger (my skin will never be completely perfect because I’m always testing out new skin care products). My skin is so, SO much better since I started using the Clarisonic back in 2011 and I really do believe that if you are spending a fair amount of money on serums, lotions and eye creams, then getting a Clarisonic will help those products perform a even better than they have in the past. Left = cleansed using hands; Right = cleansed using Clarisonic Aria. Eeeeek! My friends, that is what could be left on your face after you ‘think’ you have cleansed properly & removed all your makeup…that stuff causes blocked pores, blemishes, blackheads & whiteheads. ♥ Clean your Clarisonic brush head properly after each use. I always rinse the brush head with warm water (making sure all left-over dirty cleanser is washed away) and will then add a tiny amount of my facial cleanser to cleanse the brush head. Rinse again. This not only ensures your brush head is super clean for the next use, but also avoids stained bristles & ensures any dirt between the bristles are scrubbed and rinsed away. ♥ They say to change the brush head every 3 to 4 months but in the past 3+ years of owning the Mia, I have always kept my brush really clean and in the end I only replaced my brush head once a year. The key is to treat the brush head well (don’t man-handle it, don’t leave it resting on the bristles etc) and keep it clean. ♥ Don’t use an abrasive cleanser (exfoliator) with the Clarisonic – it’s just not necessary and the exfoliating particles will damage the bristles. Replacement heads will retail for R 399,00 each. Clarisonic will be exclusive to selected Stuttafords stores (I am still waiting for them to send me a list of stores that will be receiving the first batch). All Clarisonic devices come with a 2-year warranty. Ultimately this is an investment into the wellbeing of your skin, and as with all investments it takes a bit of time before you see a return. Your skin will feel cleaner and smoother after 1 or 2 uses but it will take a couple of weeks before you SEE a major difference in your skin – just stick to your new routine, you will see a change in your skin in no time! The Clarisonic skin cleansing devices are definitely the cream of the crop – beware of cheap imitations because chances are, they probably just scrub & damage the skin. 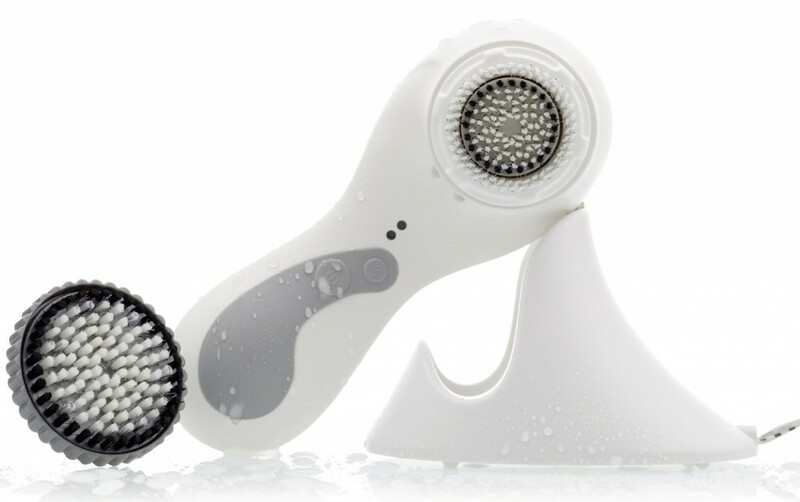 The Clarisonic uses a rapid sonic pulse technology, this means the brush head does not spin. Cheaper versions that have spinning brush heads may feel like they’re doing the same thing, but they’re actually pulling at the skin, which can lead to sensitised skin and wrinkles. Ek wag al sonlank vir die review en dit was so worth the wait! Ek kan nie wag om my clarisonic te koop nie, wat sal jy se is die beste waarde vir geld om te koop ? this post is super informative, luzanne! up until about 20 years old (I’m 24 now), I really never use to care about any skincare routines or cleaning my face. I would sleep with a full face of makeup and put makeup over that the next day, I would just wash my face in the shower with whatever. But I’ve been taking my face skincare more seriously and this might have to be the very thing I invest in! Great review and I would LOVE to get my hands on one of these…but seeing as hubby and I can’t stop making babies….our money will be going toward baby number 3 due later this year. he he. Tough question maybe…but how do the cheaper products compare? I see Sorbet has one and so does Clinique….I however am saying ‘cheaper’, but I don’t know that they are actually cheaper, wishful thinking maybe?? Thanks for the review…. I definitely am considering digging deep and saving up to get one as I love this review so much. Would love to get my oily t-zone under control! The Clinique Sonic System Brush isn’t thaaaaat much cheaper, I think it retails for R 1600,00 and I haven’t tested it, so I can’t really comment. But from what I’ve read online (review blog posts comparing the two), people tend to like the Clarisonic a bit more. The Sorbet one is nothing like that Clarisonic, I bought the Sorbet brush last year and I’m very disappointed (it was a total waste of money for me). I’m going to be doing a ‘Beauty Busts 2014’ blog post soon where I’ll feature products that didn’t work out for me, and I’ll be mentioning the Sorbet brush in that blog post. It’s quite rough on the skin (except the rubber bristle brush head) and doesn’t really remove all my makeup. I don’t like it at all, unfortunately… Also, it doesn’t feature sonic technology (it’s just a brush that spins). I dont even know what to say, Luzanne..this blog post is incredible! Better than any other clarisonic review blog post from SA bloggers and even international bloggers. Well done! I love that you cover absolutely everything!! Going to give this blog post a proper read tonight when I’m home and in my PJs but I already know I’m going to want one!! I will definitely let you guys know as soon as I have heard from Clarisonic SA. Have a lovely Monday, Ronel! Sounds like a great product, your info on it is great! Love the new lay-out and bigger instagram photos! I just love that you tried to think of everything, any question I had in my mind wrt to the Clarisonic is answered in this blog post. Your blog is the best! I agree, I was a bit shocked when I saw just how dirty the one turned out to be. Totally freaks me out knowing I was sleeping with that left-over makeup on my face before I started using my Clarisonic – eeek! Great post, Luzanne, and welcome back. I don’t if you mentioned this somewhere and I missed it, but how does the Clarisonic compare with Foreo? Wonderful post, thank you! Now I know exactly what to expect, just need to decide which one to get! Saving your blog as a favourite! I did purchase a Clarisonic when it launched in S.A , it’s been a few years and my model seems to be giving up. Stuttafords has since closed down. Do you know of anywhere else that stocks Clarisonic? Please advise where I can buy a MIA 2 .